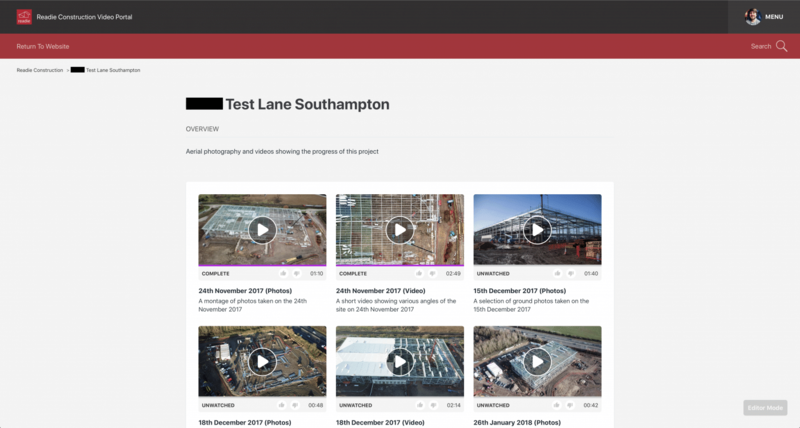 We were commissioned by Readie Construction to take monthly aerial photos and videos of a local construction project, which saw three large distribution centres built on a half million square foot plot of land next to the M271 motorway in Southampton. By providing Readie with this service they were able to keep the project’s stakeholders updated with progress on the site without the need to visit in person. Setting up our drone on site during one of the visits. 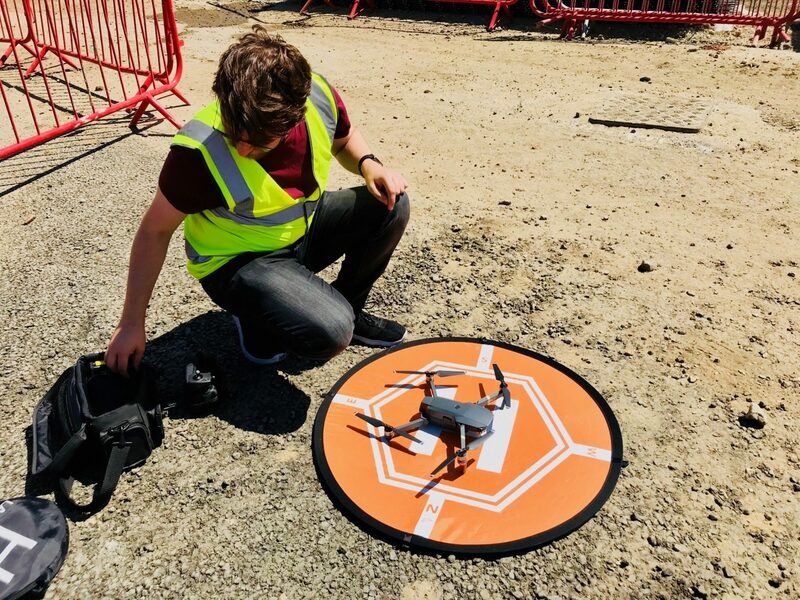 Each month we attended the site for approximately an hour with a small 4K capable drone and piloted it around the three buildings at different altitudes. Once the visit was finished, we would head back to the office, edit the footage and send it over to Readie via a branded Vimsy channel that we created for their staff and stakeholders to log into. Once they had logged into the Vimsy channel the Readie team could watch their videos, view a montage of the aerial photos, and also download both the video file and photos to their computers each month — always on the same day as the site visit. In addition to the short compilation at the top of this page, below are some samples of videos and photos we produced during our time working on this project. Thanks to our aerial videography and photography services, we were able to provide Readie Construction with a flexible, affordable and high impact solution for tracking progress of this project. By using a drone we were able to capture photos and videos of the entire site in under an hour every month, keeping costs down and providing the detail needed to keep the project’s stakeholders happy. Additionally, at the end of the project, our drone proved to be an effective way to survey the site, particularly when it came to hard-to-reach areas such as the roofs of the three units. Please get in touch if you’d like information about booking us for this type of project.